The software market has become a time-to-market arms race, and every second your developers spend building or fixing non-core features is a step too slow. Good news: we’ve found tons of high-quality third-party apps that’ll let your non-technical team members take over tasks normally dedicated to engineers. With these 8 apps, your team can stay lean, build faster, and get ahead. 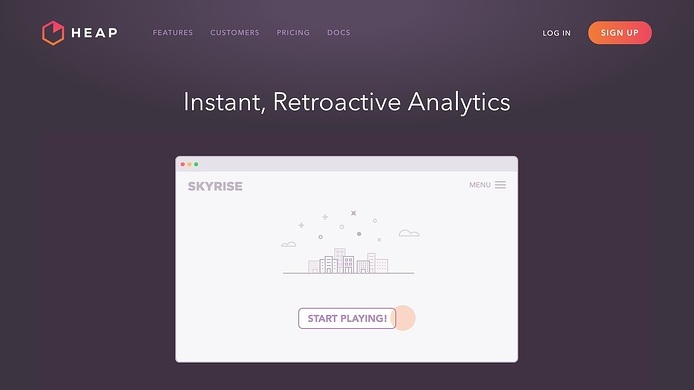 To boost your app’s retention rate, give your users a fantastic first experience. However, that’s easier said than done unless you use Appcues. With this code-free platform, your marketers can create the kind of customized, measurable onboarding experiences that would normally require developer man-power. That’s not all. 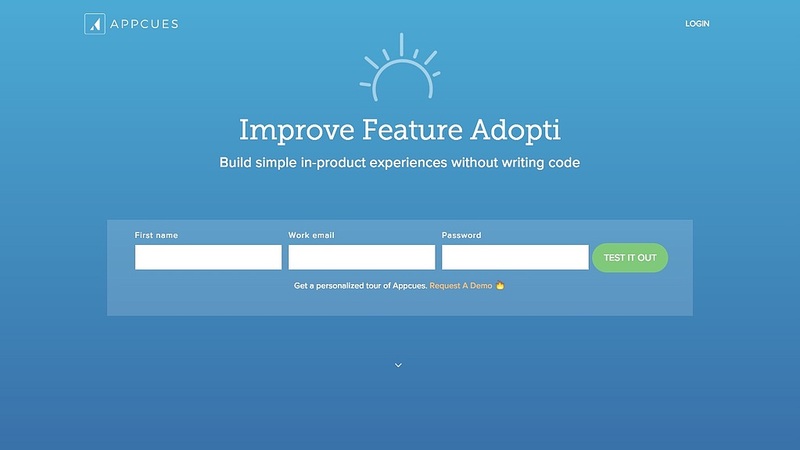 When you launch new features, you can use Appcues to give users the heads-up and walk them through the changes. You can even deploy in-app CTAs to help your users find content, change their subscription plans, and stay informed. Plus, Appcues integrates with Segment, Mixpanel, KISSmetrics, HubSpot, Google Analytics, and more, so it’ll tie in well with your existing tool-kit. 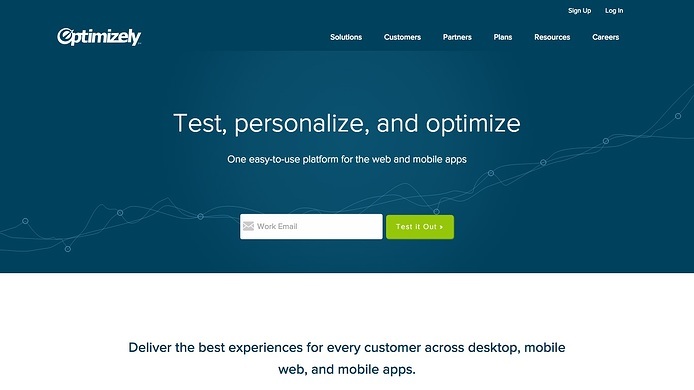 Thanks to Optimizely’s what-you-see-is-what-you-get interface, your team members won’t need coding chops to create and run A/B, multivariate, and multi-page tests. And the results of those tests will be more accurate than ever before. Optimizely recently launched Stats Engine, which uses sequential testing and false discovery rate controls to decrease error rates. However, testing is just the tip of the iceberg. With Optimizely’s Profiles feature, non-technical employees can combine third-party data sources with the platform’s behavioral data to create a 360-view of every user. 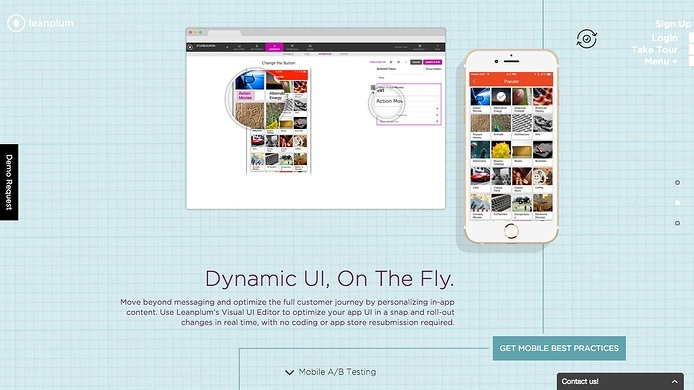 Leanplum helps you build and manage entire mobile marketing campaigns without writing a single line of code. With personalized push notifications based on behavior and location, you’ll be able to catch your users’ attention at just the right time and place (literally). Take personalization one step further by incorporating user attributes, device type and app version, and more. Once you’ve motivated users to open your app, encourage them to stick around with customized experiences. Not only can you choose what users see based on their specific attributes, Leanplum’s A/B testing and analytics will reveal what’s working and what’s not. If you want a tool your marketers can use to send product updates, sales announcements, and the like, you’ve got plenty of options. And if you want a tool your developers can use to send account confirmations, password resets, and purchase receipts, you also have lots of choices. But with SendGrid, a cloud-based email platform, your marketers and developers won’t have to use different tools. 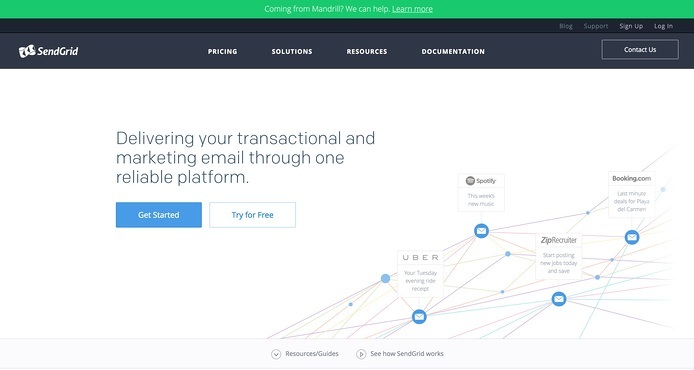 SendGrid combines marketing and transactional email services, so you can send everything from the same place. That’s not the only way this tool makes life easier. With SendGrid’s drag-and-drop visual editor and templates, your marketers can design beautiful emails without bugging your developers for help. Ultimately, everyone will be happy—and more productive to boot. Most analytics tools ask you to define which user actions you want to record. Heap, on the other hand, captures everything—every click, tap, swipe, view, scroll, and more. That means rather than having to write a new test every time you have a question about user behavior, you can tell Heap what you want to know and get the answer instantly. And your non-technical members won’t need your engineers for this task. Heap’s Event Visualizer feature lets you define user events by performing them yourself, so there’s no code involved. 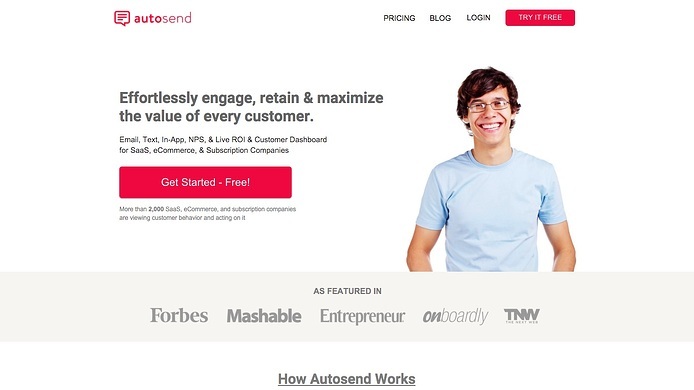 Autosend is one of the most user-friendly marketing automation tools out there. Getting it up and running is painless, and before you know it you’ll be scheduling emails, texts, and in-app messages to your users based on where they are in your customer life-cycle. The real-time dashboard displays your happiest customers, the ones you’re in danger of losing, and those who are ready to be engaged or upsold. Use these insights to request reviews from your satisfied customers and take action to lower your churn rate. Autosend integrates with Stripe, Unbounce, Shopify, and Segment, so you can incorporate the user data you’re already collecting. If your users are struggling with a difficult task, the last thing you want to do is yank them out of your app and send them to Safari for help. Luckily, once you download Hipmob, you won’t have to. Hipmob, a plug-and-play solutionfor app support, installs your FAQ right within your app. You can watch what people are searching for as they type, letting you spot trends and update your guide accordingly—which is especially helpful when rolling out a new feature. 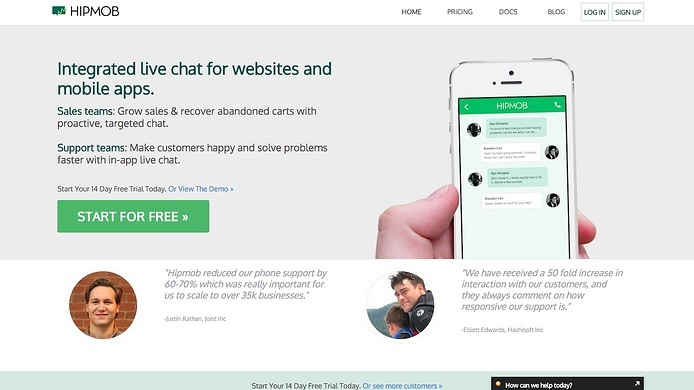 In addition, Hipmob provides a platform for in-app live chat. You can automatically sync conversation transcripts with Desk and Zendesk, or get ticket updates in your Basecamp group. Sadly, there’s no Slack integration; if your team is all about the #Slacklife, we suggest Helpshift or Intercom instead. You could manually configure the APIs for each of these tools on this list—or you could sign up for Segment. It provides a universal API for several hundred of the most popular marketing, analytics, and product software platforms. 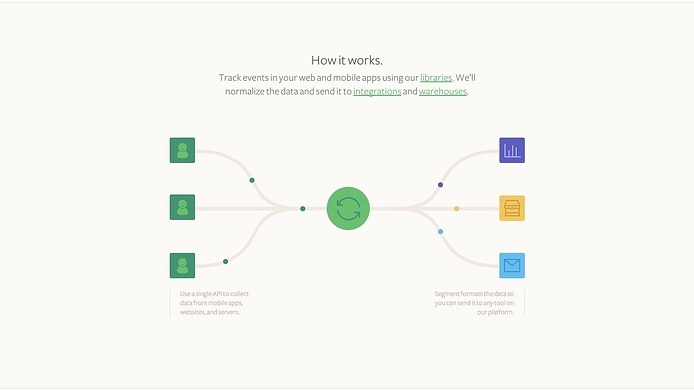 Once you’ve chosen which user events you’d like to track, Segment will do all the messy work of collecting, storing, formatting, and routing your data. All you have to do is sit back and watch the results roll in. Not only will your developers be thrilled to have this time freed up, but your marketers will love being able to instantly try out and implement new tools. Learn how Appcues and Segment work together.